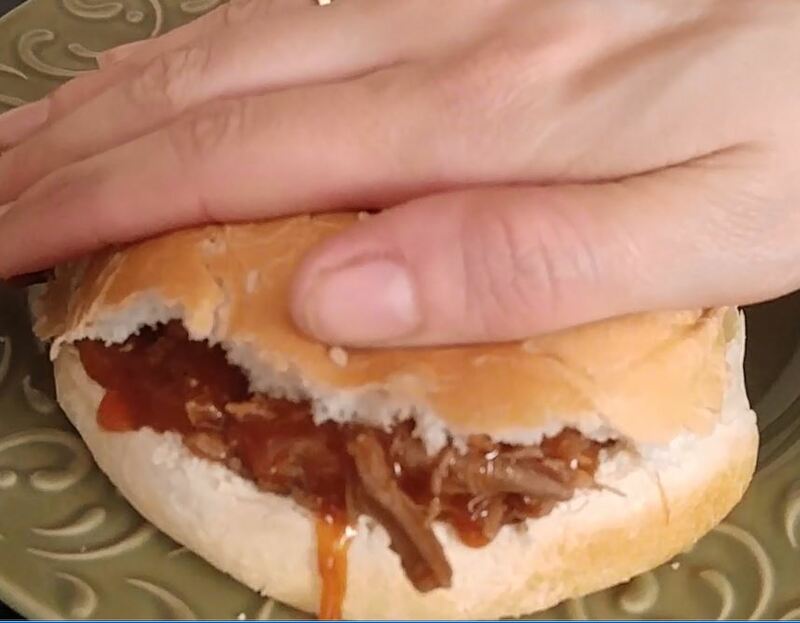 I don’t know anyone that doesn’t love pulled barbecue, so I decided to make pulled venison deer barbecue. 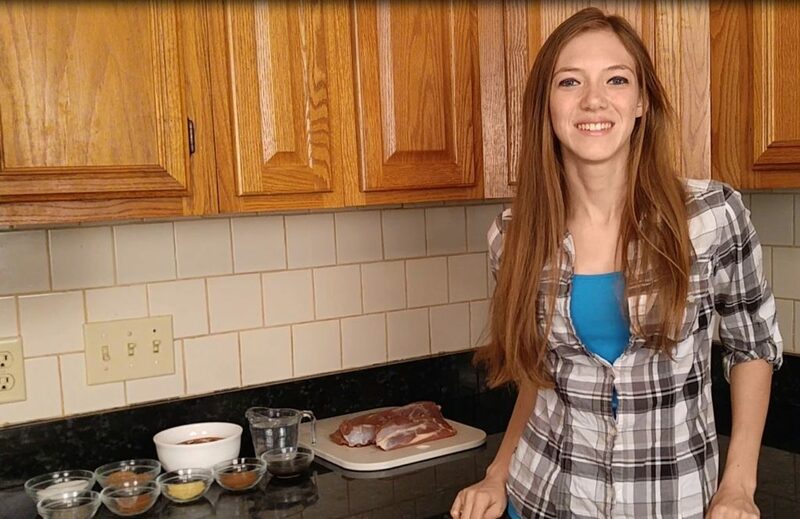 You can use ANY sort of meat; elk, whitetail, moose, bear, the list goes on and on. I used whitetail deer shoulder roasts. The sauce soaks into approximately 3-1/2 to 4 pounds of meat. Mix all the ingredients together in a separate medium-sized sauce pot. Mix it well and let it simmer for 1 hour and 15 minutes. Stir the sauce occasionally so it does not burn. While the sauce is simmering, put your venison roasts into the water, after it has been brought to a boil. Let the roasts boil for about 20 to 25 minutes. You want them to still be a little pink in the center. 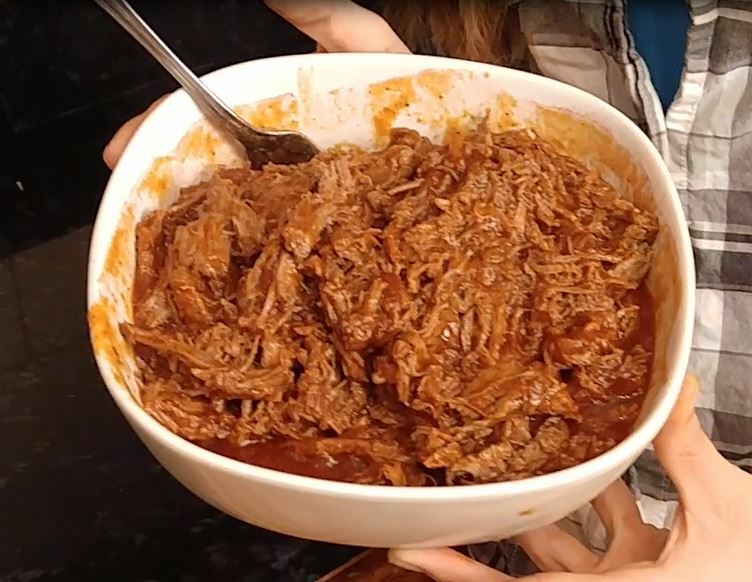 Shred the meat and put it into a big bowl. 6. Once the sauce is done, pour it into the bowl and mix it into the meat to evenly coat it all. 7.You can choose to pour out the extra liquid it you want to after it is all mixed in. Now it’s time for dessert! How do baked peaches sound? 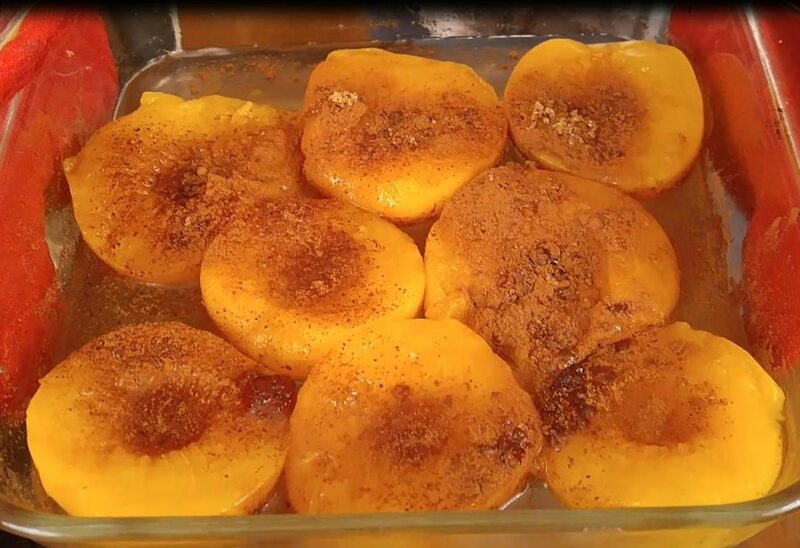 The baked peaches complement the dish very well, giving the meal a summer, outdoorsy flavor! Pre-heat the oven to 350OF. Pour the peaches into a glass baking dish. Leave the juice so they don’t get dry. 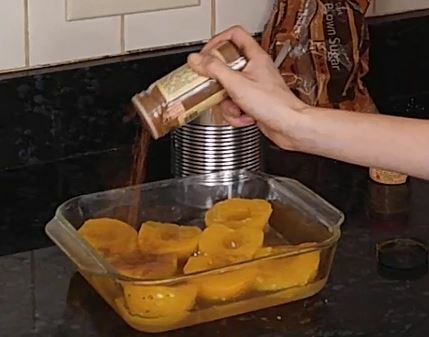 Sprinkle the cinnamon, nutmeg, and brown sugar to cover the fruit but not so much that it covers the natural flavor of the fruit. Bake the peaches for about 5 minutes. Pull them out of the oven and enjoy!